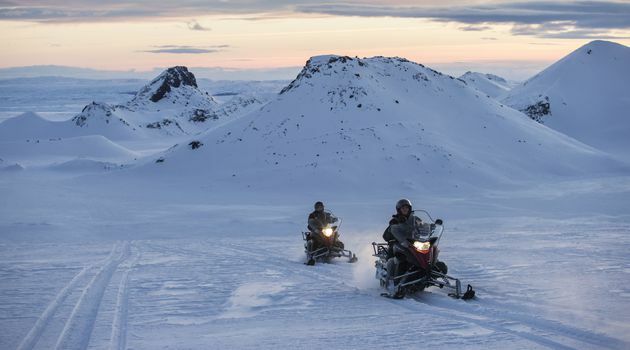 We offer snowmobile tours for individuals and groups from our base camps at the east side of Langjökull glacier. 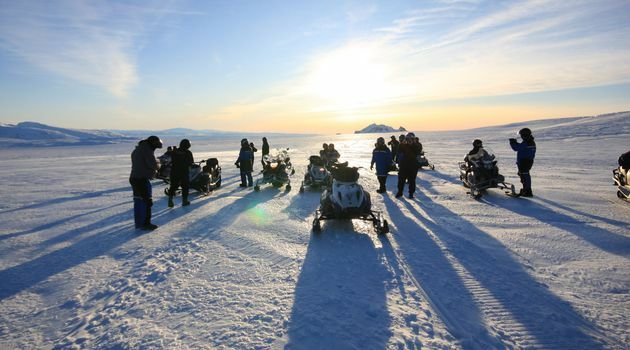 This is a great choice for those who have their own transportation and want to top off the Golden Circle with something special. We offer daily departures from Gullfoss Café where you can park your car and grab some lunch. 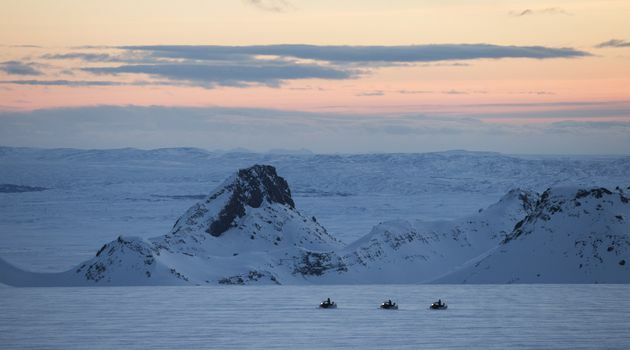 Our monster truck will then take you up to Langjökull glacier. 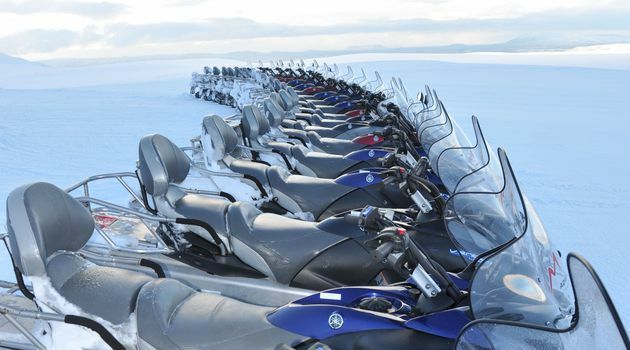 Our professional guides will take you on a 1 hour snowmobile adventure in the Icelandic highlands, giving you the most amazing views of the majestic glacier and its surroundings. 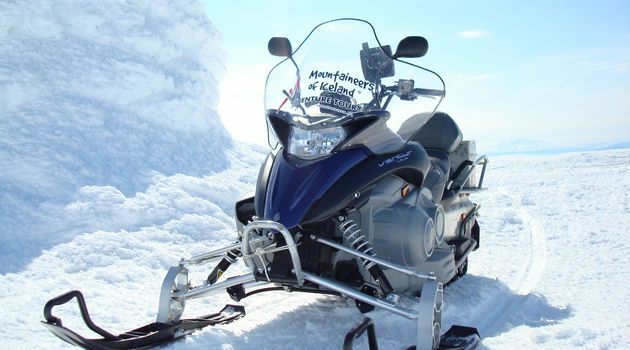 Snowmobiling equipment; warm overalls, mittens, balaclavas, cover shoes and a helmet. We recommend that you bring warm & wind proof clothing in addition to good, waterproof hiking boots and a camera. Please included your mobile phone number in the booking and e-mail, so we can reach you easily if any changes need to be made. It is important to understand that while in Iceland you could experience all weather conditions in less than one day so tours might have to be altered accordingly. It is vital to wear comfortable and appropriate clothing to be able to enjoy the excursions to the fullest. Best is to dress in layers, wind proof/ water resistance clothing in addition to good, sturdy shoes should do the trick.